Skazka is a beautiful Azimut 98. She offers wide open deck spaces, a spacious interior and a thrilling top speed of 30 knots, and with a cruising one of around 20 knots, Skazka performs well in all sea and wind conditions. Much of the deck space onboard has been dedicated to the art of lounging with large sunpads surrounding the Jacuzzi on the sun deck and a wide comfortable cushioned seating area on the aftdeck. 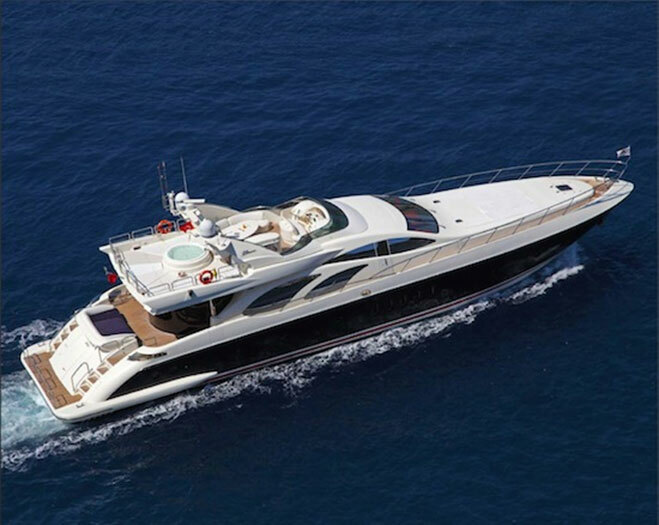 Built by Azimut shipyard, back in 2002, the yacht remains in pristine condition and ready to accept yacht charters out of Tivat in Montenegro or Split and Dubrovnik in Croatia with one way charters towards Venice or Italy and Greece also an option. The yacht is available for charter in Montenegro. Montenegro is one of the world’s fastest growing yachting destinations with some of the most spectacular coastline in the Mediterranean. The currency in Montenegro is the Euro and the coastal climate is typically Mediterranean with warm, dry summers (average temp: 27 degrees C) and mild winters (average temp: 13 degrees C), making it an ideal place to charter a superyacht such as Skazka. Skazka offers great attention to detail throughout the interior, with comfortable leather seating in the salon, a unique glass topped bar and a dining table surrounded by floor to ceiling windows. Seven guests are accommodated on board in 3 large and comfortable cabins, and she has a professional and friendly crew of 4. 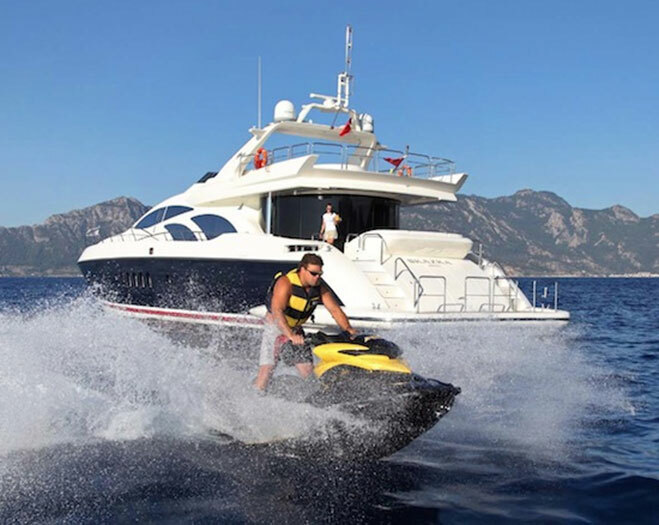 Combine this with an extensive toys list, which includes a Zodiac tender, a 215hp Sea-Doo, Yamaha 700cc Jetskis, water skis and diving equipment, and you have the recipe for a successful charter. The yacht is available for charter at € 35,000 per week.